Congratulations on your brand new iPhone XS or iPhone XS Max! Now you've given so much money over to Apple, you're going to want to make the most out of your handset, and we're here to guide you through some of its best features and how to use them. Some of the tips and tricks we've listed apply specifically to the iPhone XS or iPhone XS Max, while others are tied to the iOS 12 update that Apple just pushed out (and so should work on older phones too). Grab your freshly unwrapped iPhone device and let's dive in. If you've just upgraded from a pre-iPhone X Apple handset, you'll need to know about the new gestures (that compensate for the lack of a Home button): swipe up from the bottom to go to the home screen, swipe up and then hold to bring up the list of recently used apps, and swipe down from the top-right corner of the screen to get to the Control Centre. Having an iPhone with Face ID means Memoji (your face as a cartoon avatar) and Animoji (a bunch of other cartoon avatars). To have a play around with what's possible, go to Messages, go into a conversation, and tap the monkey icon – you can add your own Memoji (via the plus button), or have a play around with the Animoji already there. The new iPhones can change the bokeh (blur) effect behind subjects in photos, technically known as the depth of field. Open up any photo from the camera roll – as long as it was taken in Portrait mode – then tap Edit, then adjust the slider at the bottom by scrolling over it with your finger. When you're happy with the way it's looking, tap the Done button. There's no Home button on the new iPhone XS or iPhone XS Max of course, so to launch the Siri assistant you need to press and hold the Side button (on the right). Alternatively, you can just say "hey Siri" when your phone's in listening range – to change this behaviour, go to Siri & Search inside Settings, then turn off the Listen for "Hey Siri" toggle switch. New with iOS 12, as you might have noticed, is a Measure app that takes advantage of the iPhone's augmented reality capabilities. Fire it up, then use the plus button to mark points in three-dimensional space – you can measure single lines or complete rectangles, then tap any figure to copy it. The shutter button lets you take a photo of your measurements. iOS 12 is big on making sure you're not using your phone more than is healthy, and to that end you'll notice a new Screen Time entry inside the Settings app (and a new widget on the Today view) – head into the Screen Time utility to find out how often you're using your device and which apps are taking up most of your time, and to set limits if necessary. Like the iPhone X before them, the iPhone XS and the iPhone XS Max have a True Tone display that adjusts the brightness and warmth of the screen to match the ambient light and reduce the strain on your eyes. You may have enabled it when you set up your iPhone, but you can make sure by going to the iOS Settings app, then tapping Display & Brightness. You can take more control over notifications with iOS 12 – you can alerts from certain apps delivered quietly, which means they go straight to the Notification Center without appearing on the lock screen, popping up as banner, or making a sound. To do this, swipe left on an notification as it arrives on screen, then tap Manage, then tap Delivery Quietly. 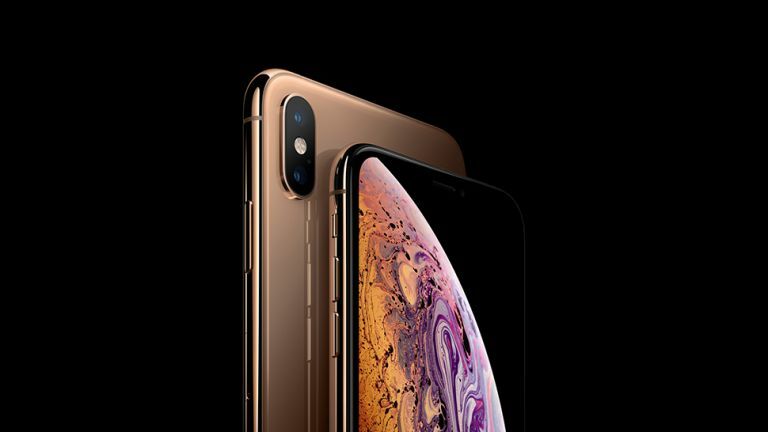 The iPhone XR has attracted a lot of attention for being almost as good as the iPhone XS and iPhone XS Max, much cheaper, and more colourful... so take advantage of one of the benefits of the more expensive phones by using optical zoom. From the camera capture screen, with Photo selected, tap on the 1x button to jump to a 2x optical zoom view. For the newer iPhones, your face is your password, rather than your fingerprint as it was on Touch ID. New in iOS 12 on the iPhone XS and iPhone XS Max (and iPhone X and iPhone XR) is the ability to set a second face for unlocking your phone (your partner maybe), via Face ID & Passcode in Settings – tap Set Up an Alternative Appearance to get started.